The development of self own languages has become emblematic of the hot new trend in business as every big Internet service provider is now developing their own and unique programming languages. Two months ago, Facebook released its modern programming language called 'HACK', which is specially designed to make the process of writing and testing code of complex websites and other software faster, and the company already drives almost all of the its social networking site to HACK over the last year. This Monday, Apple surprises the gathering of people who build software applications for Apple hardware devices at its World Wide Developers Conference (WWDC) by introducing its whole new programming language called Swift, which probably replace Apple’s main programming language - Objective-C that is being loved by the developers who build software applications for Apple hardware devices, from iPhone, iPad to Macintosh. The first app built on Swift is the WWDC app itself. Apple is apparently offering its developers a much faster and more effective means of building software applications with an "interactive playground," significantly improving on its own Objective-C. Swift will use the same LLVM (Low Level Virtual Machine) compiler and runtime as Apple’s Objective-C implementation, and its simplified syntax gives it an easier learning curve. 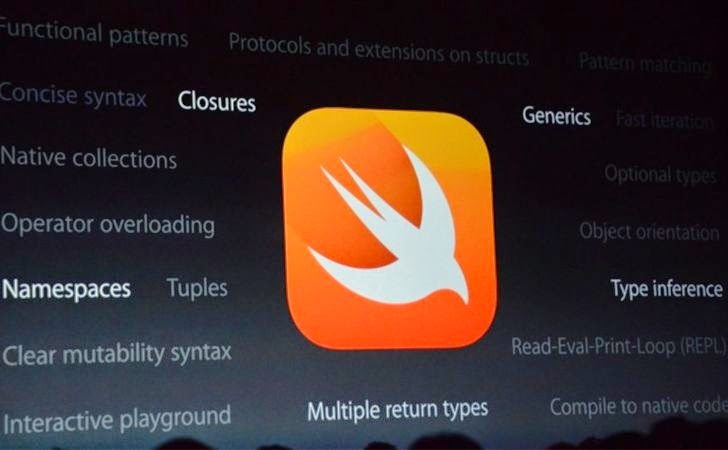 The reason behind introducing Swift was to make it easier for developers to create apps for Apple's mobile platform. Apple Developers write codes line after line and then compile those results to see output, but using Swift language they can see results in real time instantly while writing their codes. Also Syntax for type declarations, Switch statement and for other functions are easier to use and faster than the Objective-C and Python. But that doesn't mean that Swift will completely kill Objective-C, rather Swift will co-exist with the older programming languages. Developers that can write some part of the code in Objective-C and remaining part in Swift, its upto them only. Also, there are many tools available to port Objective-C to Java i.e port an app from iOS to Android, but porting Swift apps to Android will now become a tough task for developers. Apple says that Swift has been in development for many years and finally now they have published a free 500-page Swift Programming Language book if you want to learn more about the language.